U.S. Secretary of Commerce Penny Pritzker returned to Chicago yesterday, making her first visit to her hometown in her official capacity as head of the Department. Speaking at an event hosted by Google and World Business Chicago, a public-private partnership that seeks to foster private sector growth and jobs through the advancement of a business-friendly environment, Secretary Pritzker delivered remarks and participated in a “fireside chat” with Chicago Tribune reporter Melissa Harris. She focused on the Obama administration’s efforts to grow the economy and create jobs, as well as some of her top priorities going forward: the need to invest in infrastructure, help workers develop skills for 21st century jobs, reform the immigration system and support R&D and innovation. As Secretary Pritzker noted, infrastructure is critical to the economy. Unfortunately, the United States has deferred trillions of dollars in infrastructure investment over the years. Under President Obama’s leadership, however, the United States has improved 350,000 miles of roads, 6,000 miles of rail, and 20,000 bridges. The Commerce Department has deployed more than 100,000 miles of broadband since 2009. The Department of Commerce's National Institute of Standards and Technology (NIST) has awarded nearly $2 million in Small Business Innovation Research (SBIR) awards to 12 U.S. businesses. These awards provide funding to help companies develop technologies that could lead to commercial and public benefit. "We are delighted by the high quality of SBIR proposals we received, and congratulate all the awardees," said Phillip Singerman, associate director for innovation and industry services at NIST. "Over the past year, NIST updated the solicitation process to focus on critical national priorities and provide maximum opportunities for businesses that are just starting out. With three-fourths of the Phase I recipients in business fewer than 10 years and two-thirds of them with 12 employees or fewer, the results of the solicitation demonstrate the success of that process." NIST's SBIR program is a competitive funding opportunity that provides contracts to small businesses for federal research and development. In Phase I, small businesses can receive up to $90,000 to establish the scientific or technical merit or feasibility of ideas that support the commercial potential of their research. If after six months the Phase I awardees have accomplished their goals, they can compete for Phase II funding of up to $300,000 to continue their research and development efforts for up to two years. Read more about the 12 winners and how NIST will provide technical assistance and direct assistance as allowed by the SBIR statute, as well as direct them to additional resources through NIST's Hollings Manufacturing Extension Partnership. 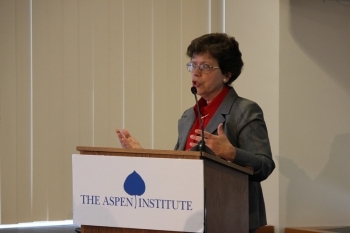 This morning, Deputy Commerce Secretary Rebecca Blank delivered the keynote address at “Manufacturing, Innovation, and Workforce Training: What Works In Germany and The United States For Jobs and Growth,” a conference co-sponsored by the Aspen Institute, the German Center for Research and Innovation, the German Embassy, and the Representative of German Industry and Trade. Her remarks come the week before Commerce Secretary John Bryson travels to Dusseldorf and Berlin to meet with government and business leaders. Deputy Secretary Blank noted how both America and Germany have shown strength in areas such as manufacturing and exporting. She emphasized the importance of maintaining economic growth by strengthening the U.S.-German economic relationship. 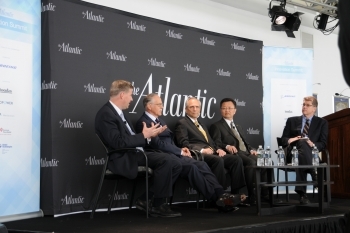 There is a powerful link between America’s ability to make things and America’s ability to innovate, compete, and create good jobs, as Secretary John Bryson said today when he spoke to CEOs, students and faculty at “The Future of Manufacturing in the U.S.” conference at the Massachusetts Institute of Technology. The Secretary took the opportunity to discuss the importance of manufacturing in boosting U.S. economic growth, job creation and exports, as part of the administration's ongoing efforts to encourage companies to build things in America and sell everywhere around the globe. Bryson also released a new U.S. Commerce Department Economics and Statistics Administration (ESA) report titled “The Benefits of Manufacturing Jobs,” an analysis of wages and benefits of manufacturing workers, which provides fresh evidence that manufacturing jobs encourage innovation and support economic security for America’s middle class. The report finds that total hourly compensation for manufacturing workers is 17 percent higher than for non-manufacturing workers. It also shows that manufacturing jobs are becoming more skilled and heavily reliant on science, technology, engineering and math (STEM) fields, and that manufacturing is responsible for 70 percent of our private sector R&D, 90 percent of our patents, and 60 percent of our exports. After a decade in which the United States lost many manufacturing jobs, American manufacturers have added back 489,000 jobs since January 2010—the best streak since 1995. In the first four months of 2012 alone, the U.S. manufacturing sector added 139,000 jobs. At the same time, the number of job openings in manufacturing has more than doubled. 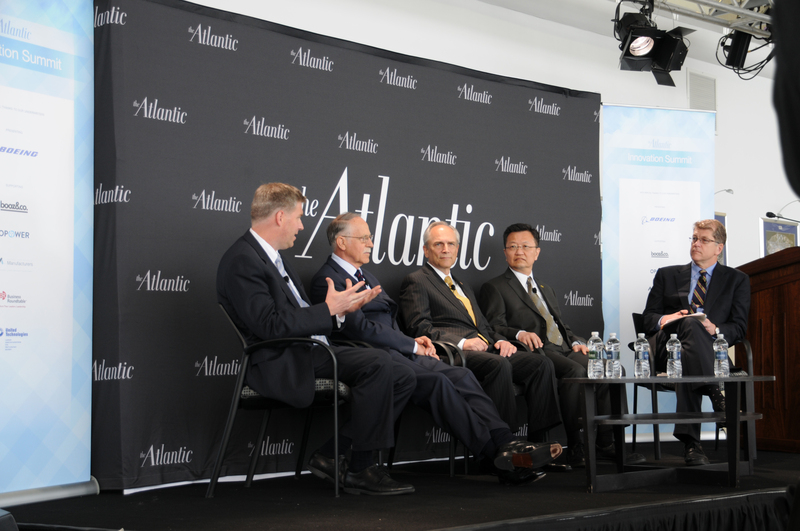 Responding to a question about NIST’s role in supporting manufacturing, Gallagher pointed out that the agency’s mission goes back more than 110 years. Then, and now, that mission has been to ensure that U.S. industries have the infrastructure of measurements, standards, and technology they need to be competitive in global markets, particularly manufacturing-based industries. That mission is even more important today, when so much manufacturing is tied to advanced technology, and our research and development—our ability to innovate—is deeply embedded in our manufacturing capability. 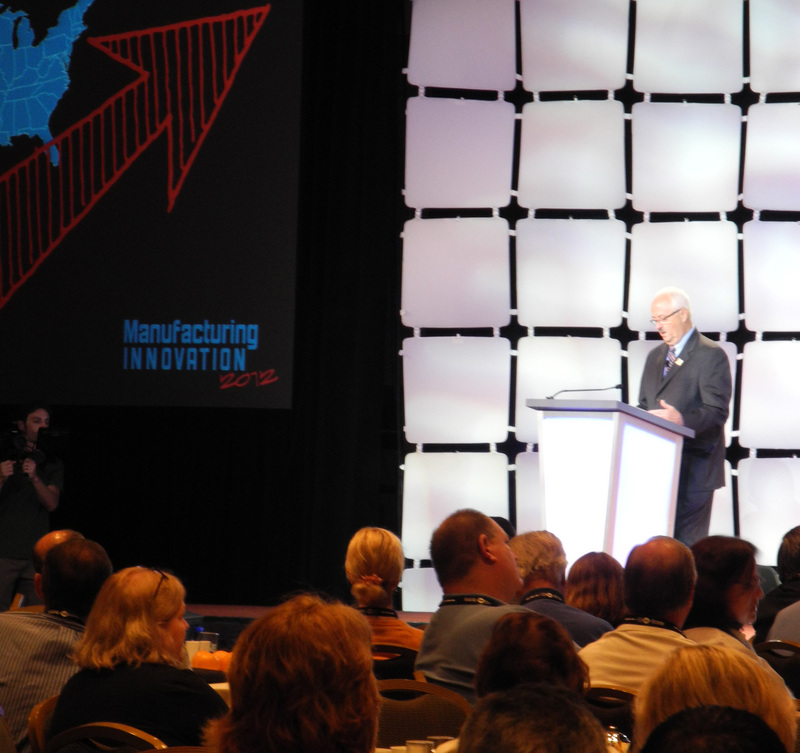 "We are finally the ‘in’ thing," said Roger Kilmer, director of National Institute of Standards and Technology's Manufacturing Extension Partnership (MEP) to the more than 800 manufacturers and industry experts gathered at the Manufacturing Innovation 2012 conference yesterday in Orlando, Fla. "Everyone from the media to the political pundits to your neighbors—they're all talking about manufacturing. It's now clear. We need to be a nation that makes things." 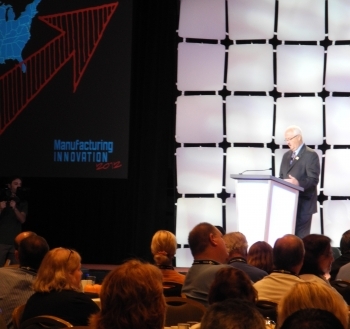 The annual conference helps manufacturers and other industry experts learn critical tools for ensuring that U.S. companies are constantly innovating and continually improving the products to compete and win in the global marketplace. The overarching theme of the meeting is, "Make it in America," and through exhibits and conference talks, attendees learned about many companies succeeding in the marketplace with U.S.-made products. "We don't want to just tell you to be innovative. 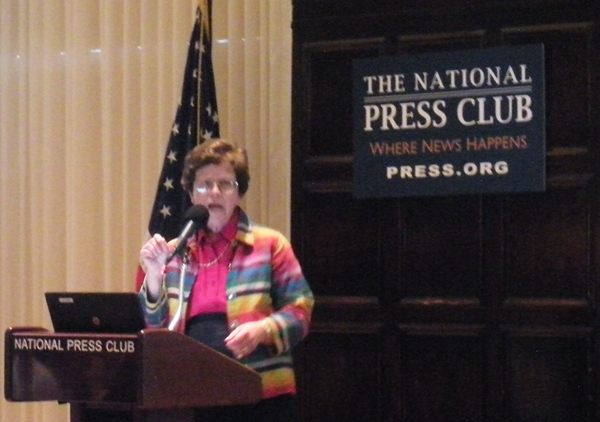 We want to show you how to be innovative," said Kilmer. This morning, U.S. Commerce Secretary John Bryson delivered remarks at an upstate New York manufacturing summit hosted by U.S. Senator Kirsten Gillibrand and the Rochester Institute of Technology (RIT) at RIT’s Center for Student Innovation. He delivered the keynote address, discussing the administration’s initiatives to help businesses “build it here and sell it everywhere” around the world. 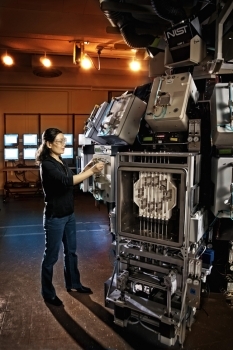 Rochester, New York, has a long tradition of leadership in manufacturing and technology. Fueled by a well-educated workforce and commitment to entrepreneurship, Rochester has provided a great example of what American innovation can bring to the U.S. economy. While in Rochester, the Secretary had a chance to tour RIT’s construction of their brand new facility, where students will soon be performing cutting-edge research in sustainability. The Commerce Department helped make this facility possible through a $13.1 million grant from Commerce's National Institute of Standards and Technology (NIST). In the afternoon, the Secretary visited a business called Schlegel Systems, Inc., a company that specializes in seals, gaskets and brushes for the building products, automotive and copier industries. The Commerce Department’s Manufacturing Extension Partnership (MEP) in New York is working with Schlegel Systems, Inc. to accelerate new products into the marketplace and expand their markets, along with many other companies. Recent annual data shows that businesses that teamed up with the New York MEP had over $400 million in sales, helping to keep or create nearly 4,000 jobs. This afternoon, I had the honor of addressing an annual conference on innovation, sponsored by the National Bureau of Economic Research (NBER), a nonprofit, nonpartisan organization dedicated to promoting a greater understanding of how the economy works. Today’s event, entitled “Innovation Policy and the Economy,” provided an opportunity to discuss one of the most important contributors to America’s long-term competitiveness: innovation. America’s entrepreneurs, businesses, and workers are the primary source of new ideas that drive innovation. Patents, trademarks, and copyrights–the main protections in our intellectual property (IP) system–are critical tools that help commercialize game-changing ideas. By creating a better environment for our private sector to capitalize on those ideas, IP protections help foster the innovation and creativity that lead to a stronger economy and the creation of more, good-paying jobs. What do the electric light bulb, the internal combustion engine and the transistor have in common? They are all examples of how innovative ideas can bring rapid change and growth to our economy. Innovation has long been recognized as an important driver of economic growth. New ideas can spark wave upon wave of new goods and services that literally transform the economy, making it more robust and vibrant. What exactly is innovation? A precise explanation can be elusive, but common to every definition is the idea of realizing commercial value by creating something that did not previously exist. And, while economists agree that innovation is important for economic growth, actually measuring it is quite a challenge. Innovation is what’s known as an intangible asset. It’s hard to quantify. Understanding the role of intangible assets–and thus the role of innovative activity in general–is critical to understanding the modern economy. On February 7, 2012, my colleague Phil Singerman, Associate Director for Innovation and Industry Services at the Department of Commerce’s National Institute of Standards and Technology, and I joined local manufacturers in Colorado to discuss lab-to-market strategies during an innovation and commercialization forum hosted by the Colorado Association for Manufacturing and Technology. Manufacturers in Colorado and across the nation are developing new ideas, research and products to solve the pressing issues we face and create the jobs and industries of the future. Over the last three years, the Obama administration has been making smart investments to accelerate the process for taking research from labs to the marketplace and create jobs for America’s workers. Two days after President Obama laid out plans in his State of the Union address to support innovation and bolster U.S. manufacturing, Acting U.S. Deputy Commerce Secretary Rebecca Blank visited Tech Town, a premier commercial technology campus, in Dayton. There, she toured UA Vision and Persistent Surveillance, startup companies that are commercializing federally-supported research, and delivered remarks about the importance of investing in innovation and a skilled labor force to create jobs in a 21st century economy. While in Dayton, Blank also participated in a roundtable with local business leaders to discuss how Department of Commerce resources can help them become more innovative and competitive. 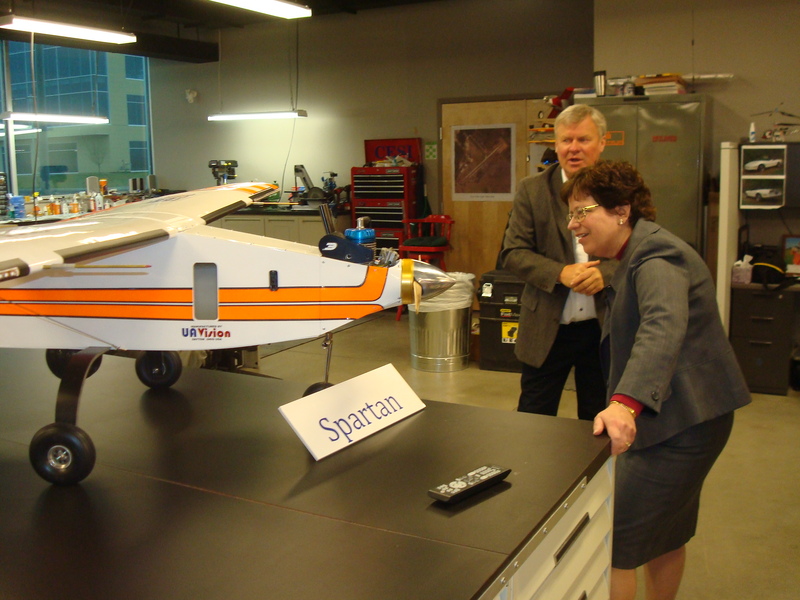 In addition, she toured the Wright-Patterson Air Force Research Laboratory, a major area job magnet which conducts critical research and development work, among other services. The Commerce Department is also working hand-in-hand with local companies to continue innovating and exploring. Through the Ohio Manufacturing Extension Partnership, Commerce has worked with more than 300 companies in southwest Ohio. Commerce’s Economic Development Administration even teamed up with the state to help build Tech Town. U.S. Commerce Secretary Gary Locke traveled to Columbus, OH, today to deliver the keynote address at the 2011 Columbus Chamber of Commerce Annual Meeting. This event launches Locke’s “Compete to Win” address series – an ongoing outreach effort to Chambers of Commerce across the country in which Locke will listen to the ideas and concerns of members of the business community and highlight Obama administration economic policies that are designed to spur growth and support job creation. During his address, Locke highlighted President Obama’s plans to strengthen the economic recovery, create jobs, help businesses succeed, and position America to win the future by out-innovating, out-educating and out-building our global competition. He specifically discussed the administration’s focus on infrastructure and research and development investments, tax code reform and export promotion as top priorities that will help American businesses become more innovative, more competitive and more successful. Locke also talked about Columbus’ own regional economic development strategy, Columbus2020!, and how administration policies will support and complement this initiative.